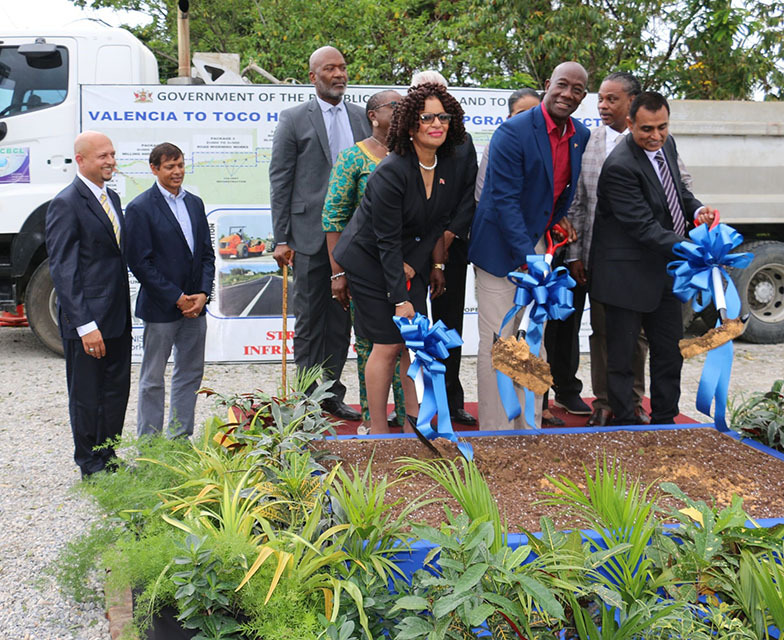 Prime Minister Dr Keith Rowley flanked by MP for Toco/Sangre Grande Glenda Jennings- Smith, left, and Minister of Works and Transport Rohan Sinanan, turn the sod for a segment of the Valencia to Toco Highway, yesterday at Valencia. 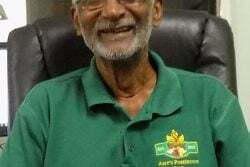 (Trinidad Guardian) The north­east re­gion of Trinidad has the po­ten­tial to be­come a gas and oil in­dus­try sim­i­lar to Point Ga­le­o­ta and Guayagua­yare which can pro­vide a bet­ter qual­i­ty of life for cit­i­zens who live be­low the eco­nom­ic pyra­mid. 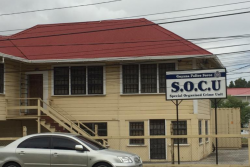 This was the mes­sage Prime Min­is­ter Dr Kei­th Row­ley sent to con­stituents of To­co/San­gre Grande at the sod turn­ing cer­e­mo­ny of the $196 mil­lion Va­len­cia In­ter­sec­tion to To­co Main Road up­grade which will be un­der­tak­en by three con­trac­tors – LCB Con­trac­tors Ltd, Lutchmesingh Trans­port Ltd and Har­ryper­sad and Sons. 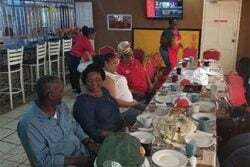 The event took place in Va­len­cia on Wednes­day. 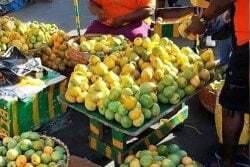 The up­grade is part of 12.4 kilo­me­tres of a road net­work to the pro­posed To­co Port which will pro­vide fish­ing fa­cil­i­ties, a two storey ad­min­is­tra­tive build­ing, a ma­ri­na for 30 plea­sure ves­sels, boat lifts, car­go stor­age, 300-pas­sen­ger wait­ing lounge, cus­toms of­fice and a coast guard fa­cil­i­ty…..